Bishop Ilia: "The Albanian Orthodox Church"
Scriptural and archeological evidence indicate the presence of Christian communities in the ethnic territory of modern Albania since apostolic times. It is believed that St. Paul traveled throughout the area (Romans 15:19, Acts 17:1) while Caesar and Marin of the 70 Apostles served as bishops of the newly revealed religion. Orthodoxy dominated as the prevailing faith until the great schism of 1054 when Roman Catholicism was introduced especially in the Northern provinces. By the 14th century Islam became wide spread among the agrarian and peasant population. During the Roman-Byzantine Empire (312-1453) and the subsequent Ottoman hegemony (1453-1912) Orthodox Church life in Albanian lands generally was supervised by the Ecumenical Patriarchate of Constantinople.With the emergence of the modern Albanian State in 1912 nationalist activity became more pronounced within the country’s internationally recognized borders. Already the patriotic movement for independence was well organized in the Albanian communities of the diaspora with dynamic leadership originating in America.In 1908, working among Albanian economic immigrants who started arriving in the United States during the last quarter of the 19th century, Fan S. Noli capitalized on the prevailing spirit of Albanian nationalism to launch the organization of Albanian speaking Orthodox communities, mostly along the Eastern seaboard. He was ordained a priest by the Russian Orthodox Church in North America and translated liturgical texts for use in Albanian parishes. Meanwhile the unstable political situation in Albania following independence in 1912 contributed to the disruption of church life and ecclesiastical order. During the reign of King Zog the Ecumenical Patriarchate issued a Tomos of Autocephaly on April 12, 1937, which forms the basis for church polity even today. Following World War II the communist regime of Enver Hoxha undertook a systematic persecution of all religious communities culminating in the confiscation or closing of all houses of worship and finally, by constitutional fiat, declaring Albania to be officially an “ atheistic state” (1967).In 1992, with the collapse of communism in Eastern Europe, religious life was restored in Albania. The Orthodox Autocephalous Church is headed by Archbishop Anastasios who governs ecclesiastical affairs with a synod of bishops. Up to 1939 and the invasion of Albania by the fascist forces of Mussolini, the number of immigrants to the United States is estimated to be about 35,000. America was seen as the land of economic prosperity, a nation of freedom, democracy and progress which attracted many inhabitants from the Korca region of Southeastern Albania. Opportunity for immigration began again in 1992 following the reestablishment of diplomatic relations with the Albanian Republic. From that year until 2010 more than 55,000 new immigrants have qualified for legal status. While being involved in a multifaceted political career for Albanian sovereignty the priest Fan Noli was ordained a bishop in Albania in 1923 and following his six month stint as prime minister he left the country in December, 1924, never to return. By 1932, Bishop Noli reentered the United States and concentrated his efforts on academic pursuits while leading a loosely organized cluster of 12 parishes, most of them in New England, with the cathedral of St. George in South Boston,Massachusetts, at the center of religious and cultural life. A reorganization of the parishes in the early 1950’s resulted in the formation of the Albanian Orthodox Archdiocese in America. Following the death of Bishop Noli on March 13, 1965, a priest from America, the Reverend Stephen Lasko, was ordained bishop by hierarchs in Albania. His acceptance as Noli’s successor was problematic for the Archdiocese, however, the controversy was resolved by the decision on October 14, 1971 to join the newly named Orthodox Church in America, the former Russian Metropolia, promulgated as autocephalous by the Patriarchate of Moscow. After 27 years without a bishop of Albanian origin, the Reverend Nicholas Liolin was ordained by the OCA Synod and given the name Nikon. He leads the Archdiocese now consisting of 12 parishes and is a member of the Holy Synod of the OCA. 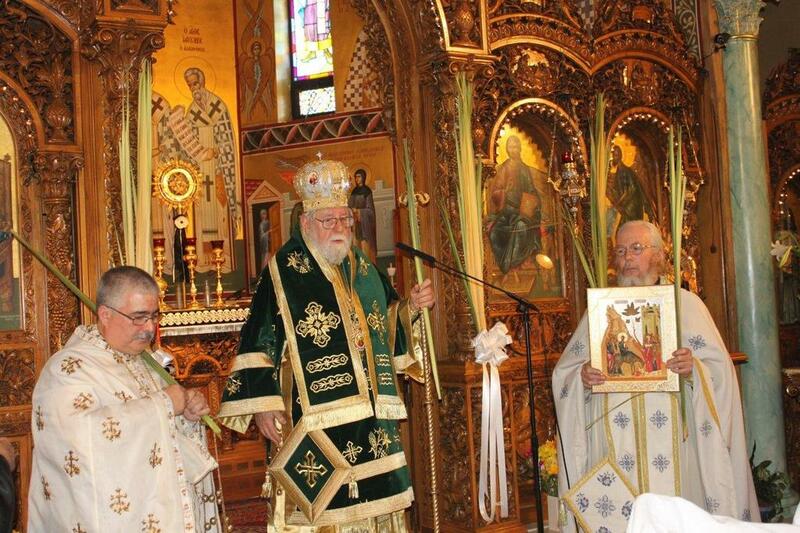 The 100th anniversary year was marked by a second hierarchal Divine Liturgy served by Bishop Nikon, Metropolitan John of Korca and Bishop Ilia in St. George Cathedral on September 27, 2008. The previous evening a gala celebration banquet was attended by more than 1,000 persons from many countries including special guests, President Bamir Topi of Albania and Albanian American born actor and entertainer James Belushi. The Albanian Orthodox Diocese of America under the Ecumenical Patriarchate was organized in 1951 following the arrival of Bishop Mark (Lipa) in the United States. An Albanian born in Turkey, the Bishop studied at the Patriarchal Theological School of Halki after completing the lyceum in Korca. A group of clergy and laity who knew of his chanting skills when he accompanied Archbishop Kristofer (Kissi) in the early 1930’s supported his initial efforts upon his coming to Boston, Massachusetts, a city with perhaps the largest concentration of Albanian Orthodox communicants. Together with the Roman Catholic Archbishop of Boston Humberto Cardinal Medeiros, Bishop Mark signed a Declaration for Religious Freedom on November 28, 1981 asking the Albanian Government to allow the practice of religion for Christians and Muslims. 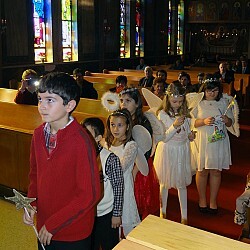 The Diocese has endorsed many initiatives promoting religious tolerance and advocating for human rights. Two Albanian parishes (Holy Trinity, South Boston and St. Nicholas, Chicago) have joined the Diocese since 1950 in addition to a mission parish being formed in Toronto. Over the decades both parishes have conducted regular weekly religious education programs and since the arrival of thousands of new immigrants Albanian language classes are being organized. Membership in the parishes and mission is growing annually while financial contributions are on the increase. During the years of spiritual leadership offered by Bishop Mark (1950-1982) the Diocese hosted a weekly radio program (Voice of Orthodoxy) in the Boston area and published a monthly Diocesan publication (The True Light). A Diocese center in Boston provided a venue for religious, educational, social, cultural and philanthropic activities during the Bishop’s lifetime. In l959 the Standing Conference of Canonical Orthodox Bishops in America was formed with Bishop Mark as one of the founding signers on behalf of the Diocese. This gave impetus to a policy of promoting cooperation and participation in Pan Orthodox programs throughout the country. For 20 years the Diocese was directed by the Reverend Protopresbyter Ilia Katre as Vicar General. 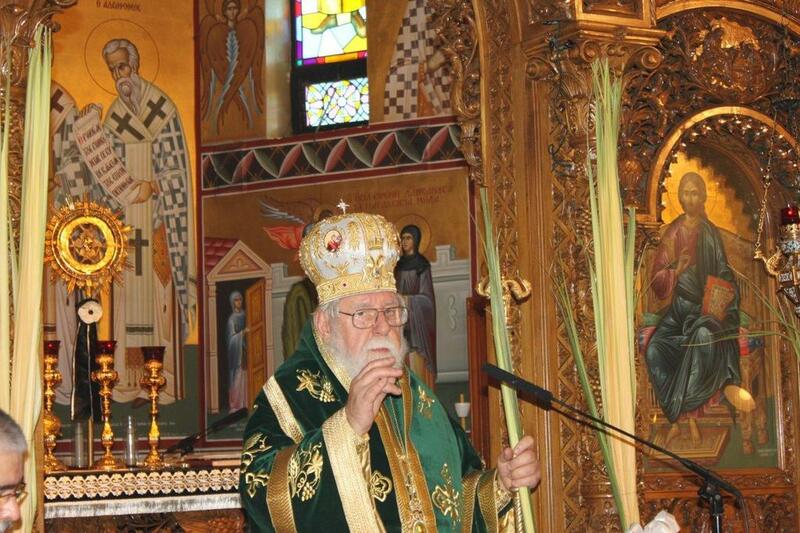 In 2002 he was elected Bishop of Philomelion by the Holy Synod of the Ecumenical Patriarchate to serve the Albanian speaking Orthodox faithful of North America. In addition he spends time in Albania as Director of and visiting instructor at the theological academy of the Resurrection of Christ in Durres. 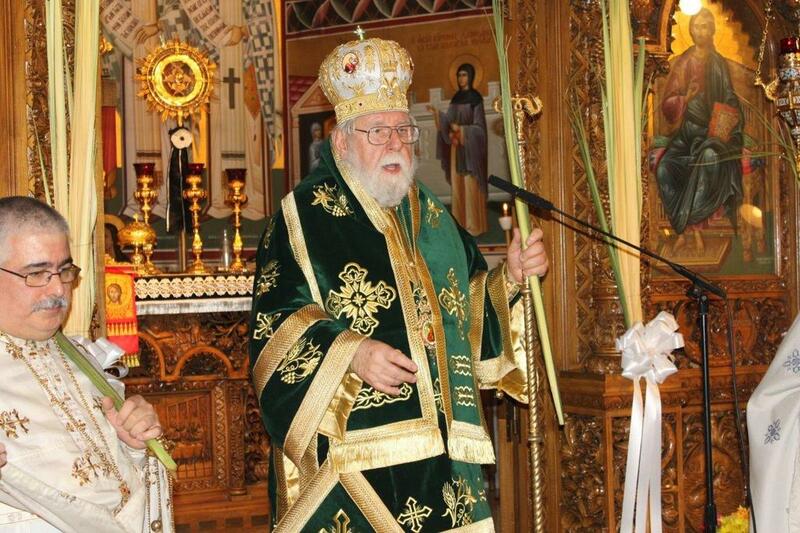 Furthermore he is the representative of the Autocephalous Church of Albania to the official theological dialogues between the Orthodox and Roman Catholics and the Orthodox and Anglicans.